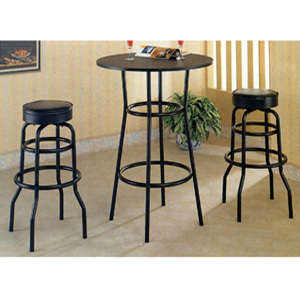 Details: Table: Diameter: 28 x Height: 41-1/2 Stool: Diameter: 16-3/4 x Height: 29 Black Bar Table (2383 (CO)). Black Bar Stool With PVC Seat (2385 (CO)). Easy To Assemble.